Led by Sr. Ellen Kelly carrying a lighted lantern, accompanied by Sr. Zelna on the drum, the participants processed from the garden to the meeting room, full of hope and expectancy, the strains of the gathering song “God Delights in You” (Monica Brown) echoing in their ears. The session had officially begun. 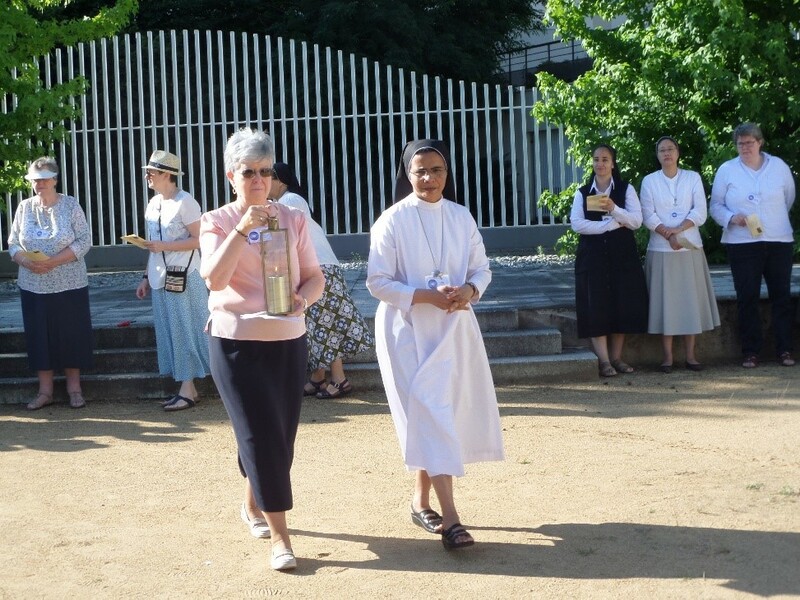 In her address to the group, Sr. Ellen recalled that all are members of an international congregation and hoped they would develop friendships across borders that would last a lifetime. She emphasized that the lifelong commitment expressed by Perpetual Profession calls for very deep and honest discernment. “Pay attention to your heart,” she said, “for where your heart is there is your treasure also.” She invited the Sisters into a deeper communion with God, the created world, the universe, with each other and with those who accompany them. Love is about relationships, she continued and it must be lived in our everyday life.